I have made the hoodie towels before, but I wanted to share this one with you as well. small amount of white terry cloth. 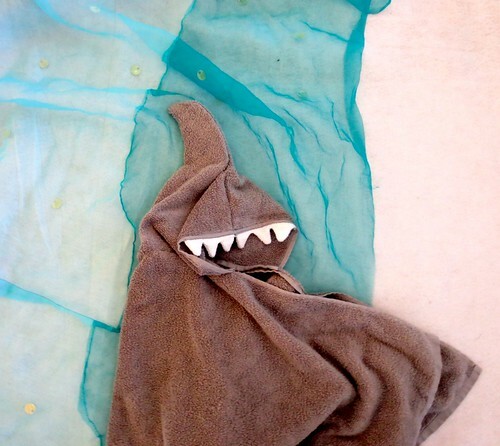 The full tutorial for the towel is here. 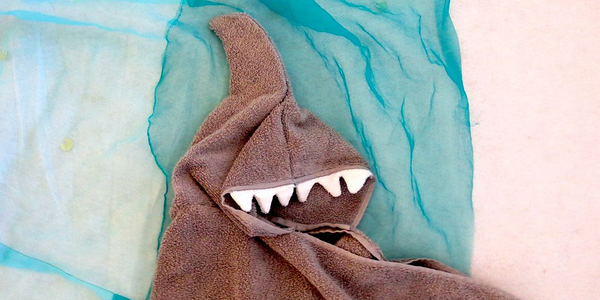 So for this installment, I will show you how to adapt the hoodie into a shark shape. 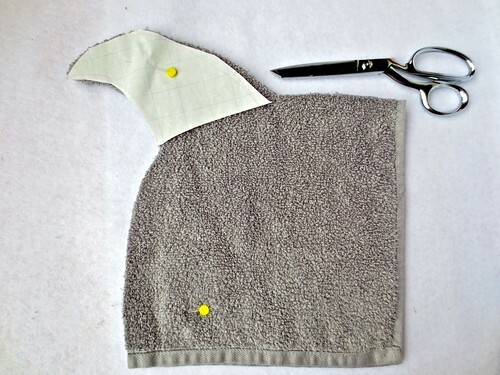 The hood top is made in the same way except, this time, you are going to cut a shark fin in the top of it. 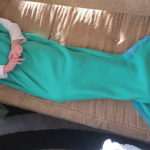 I had plenty of room to do this just in the hand towel and I did it all in one piece with the hope that the fin will have some chance of standing on it’s own. This picture shows how much room I had to work with on the towel. 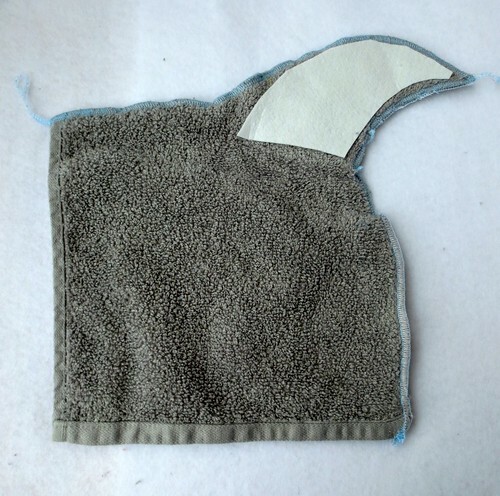 Here, I laid out a paper fin pattern on the top of the hood. Finish both of the bottom edges. Fold the terry in half. Sew the teeth along the lines. 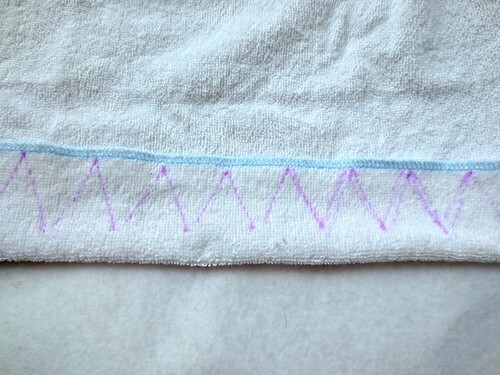 (if you don’t have a serger – just zig zag the edges.) (in the photo above the blue is the edge, then I folded it closer to the points of the teeth. I sewed the teeth, and clipped the extra fabric. Then turned it inside out and the bottom was the still the blue edge ) Clip the tips of the teeth so that you can get a nice point on the ends. Then turn them inside out, and sew them to the front underside edge of the hood. 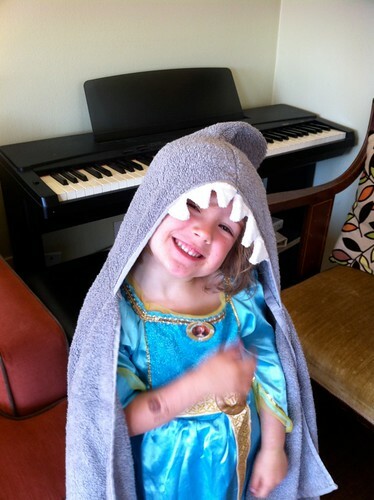 Here is our friend, super excited in her shark towel. 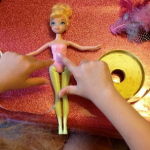 6 years ago by Susi in Crafty Mom , Projects , Sewing Projects | You can follow any responses to this entry through the RSS feed. You can leave a response, or trackback from your own site. That is super cute…. too bad my boys are too old for this or I would be making them one for Christmas. 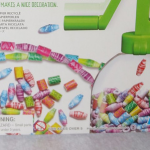 Pingback: DIY Christmas Gift Ideas You'll LOVE! which pictures are the hand towel and which are the bath towel? the bath towel? im so confused!! Megan, That is exactly right! I am just showing here how to make the fin part. 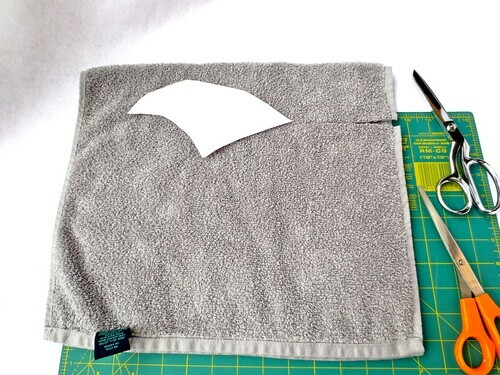 I wrote a post about making a hoodie towel where I talk about how to cut them and attach them in GREAT detail. Check this post out, and it will clarify the general “attach the hood” questions. What is the stabilizer made of? Would you get it craft store? 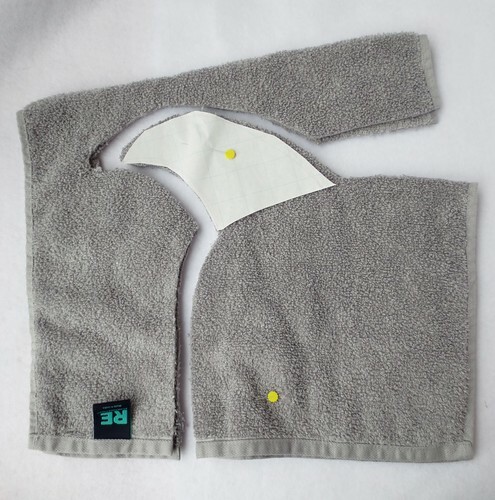 Stabilizer is the light fusible interfacing. You can get it at the fabric store in different weights. 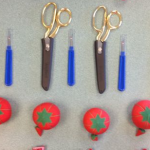 I know at my Joann they sometimes keep it behind the cutting counter & you have to ask for it. This was awesome. I made it for my older sister!! It turned out great!